Teaching is a natural extension of Sahffi's musical life. Sahffi is a private teacher and teaching artist in the Baltimore/DC/Virginia area where she offers music and songwriting workshops to students of all ages in area schools. She runs an award-winning private studio of vocal and guitar students and has created her own "Vocal Ladder Method," a step-by-step guide for teaching students how to use their bodies as instruments. 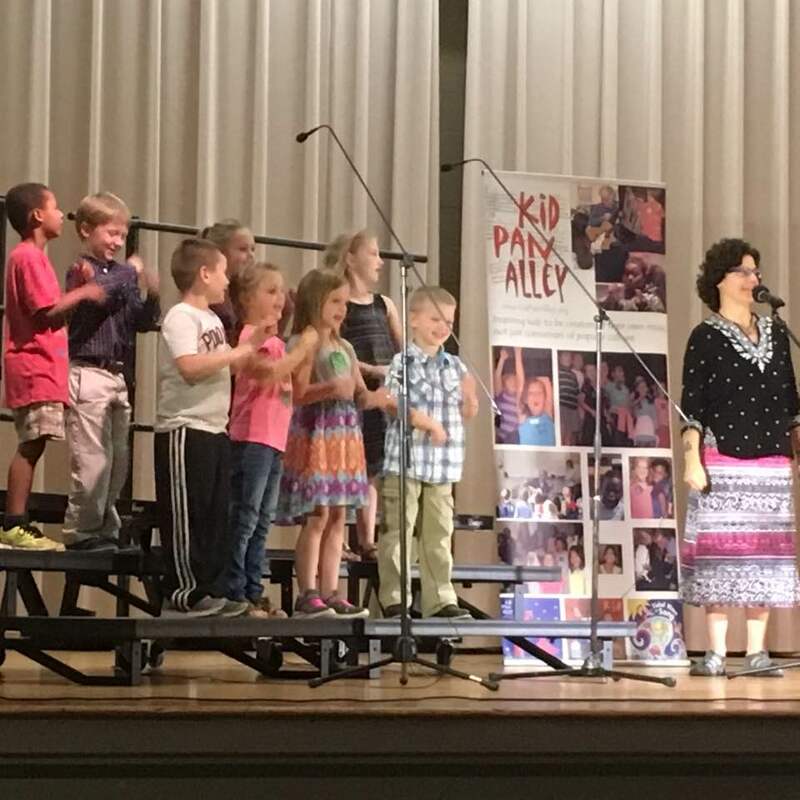 Above, Sahffi is performing with Kid Pan Alley songwriters at a culminating concert.